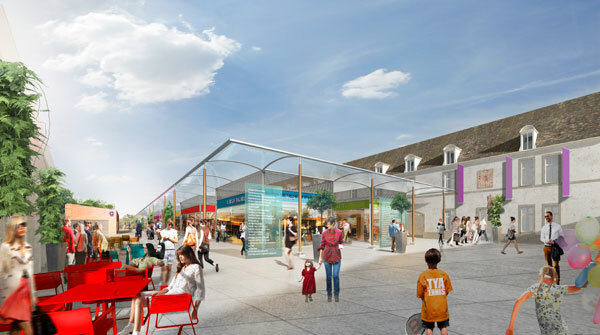 The Cité Internationale de la Gastronomie, presented by Dijon at MIPIM 2015, will aim to enhance the “French gastronomic meal” and promote Burgundy wines. Capital of a world-renowned wine region, the city of Dijon is to inaugurate in 2018 the Cité Internationale de la Gastronomie et du Vin. 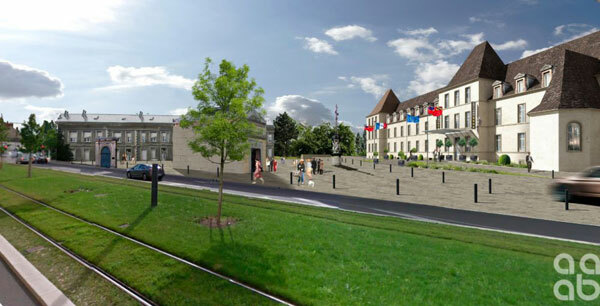 This new major tourist attraction aims to promote the “French gastronomic meal” – inscribed in the UNESCO World Heritage in 2010 – and extend the reputation of the Burgundy wines. Dijon is a city whose history, architecture and culture are closely related to the wine. In the city, thrive many wine bars and wine shops and wine events are increasing significantly, like the great “Fête du Pinot Noir” to be held in June 2015. The Cité Internationale de la Gastronomie is remarkably situated on the outskirts of the city center, close to the TGV station, along a tram line, near the Jardin des Sciences, a popular science area focusing on biodiversity. The Cité de la Gastronomie will be at the Kilometre Zero of the Route des Grands Crus of Burgundy. It will be an ideal starting point to discover Dijon’s historic heart. The Cité Internationale de la Gastronomie in Dijon should host – besides the inhabitants of the town, the region and France – tourists from around the world, but also for students, researchers, delegates, contractors… This influx of visitors will consolidate the Dijon’s strengths: a tradition of “Eating Well” and “Drinking Well”, with hundreds of restaurants including five Michelin starred one. The Cité Internationale de la Gastronomie et du Vin, created on the site of the former General Hospital, should see the light of day by the end of the year 2017. On over 20,000 m2, the site will include a 4-star 90-room hotel, an eco-neighborhood of 640 housing units, a Cultural Centre, exhibition halls, a conference center, and shops, restaurants, a Wine Pavilion and premises dedicated to training. A 10-screen multiplex cinema will participate in the cultural and educational dimension of the site. The historic buildings of the old hospital will be renovated and with contemporary buildings added to the north of the site. The hospital chapel will become a showcase dedicated to the Burgundy vineyards, which could be inscribed in the UNESCO World Heritage in 2015. The Eiffage Group that has been designated for the construction and operation of this new tourist attraction, for an estimated investment of 150 million euros.